Mums. We love them. The scary ones, the soppy ones, the ones who leave messages all over your Facebook wall! Go the extra mile this year and treat your mum to something special on Mother’s Day and show her how much you care on Sunday 26th March with a meal at The House, your home-away-from-home in the heart of Chelsea. 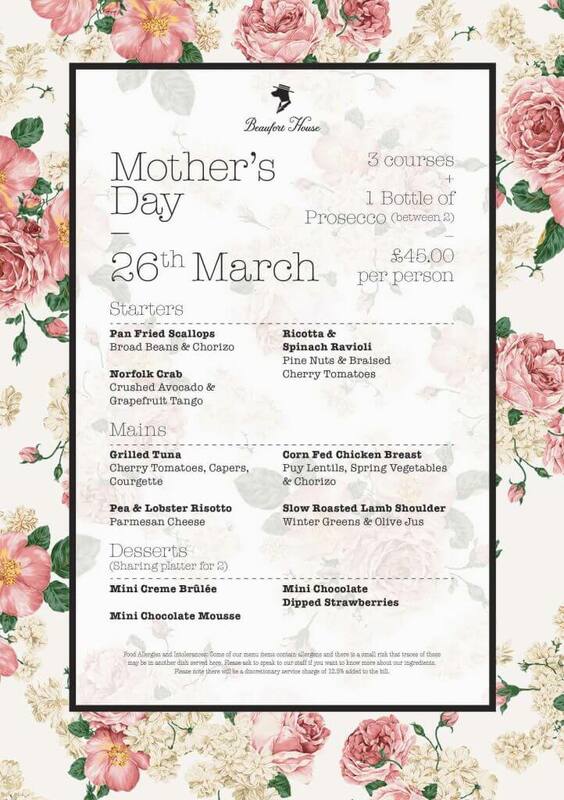 Treat her to a fantastic Sunday lunch (we are offering a special 3-course Mother’s Day Menu including a bottle of prosecco for only £45.00 per person), a lazy brunch or our wonderful afternoon tea served with a glass of Champagne here at Beaufort House Chelsea. So book your table today by calling the team on 020 7352 2828.